If you feel the need to remove trees from your property, then you will be required to obtain a tree removal permit from the council before you can proceed. All tree removal or demolition on residential or commercial properties requires a permit, save for various trees exempted by the council. This may sound like a lot of red tape to go through, but we make this process easy for you. The regulations for permits will vary from location to location, and even the necessity of a permit will vary based in the size and kind of tree you are dealing with. 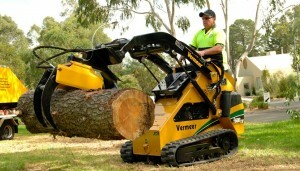 Some areas actually ban tree removal entirely no matter what size the tree may be. Trees of some varieties may be protected and thus cannot be removed. For those living in areas frequented by fire, you are allowed to have trees 10 meters or closer to your home removed without a permit. Jim’s Trees can assist with obtaining the permits you need. Some trees that are to be pruned require a permit to do so by local authorities. We can provide those pruning services for you. You can start by getting in touch with the local council or going to their Internet page. There you will be able to determine which trees or sizes of trees are off limits, what kinds of things you need permits for and how to apply for a permit. You can then measure your trees you need removed and see if it fits into the guidelines set by the local council. Sometimes, you won’t even need a permit at all to get your trees removed. We can make this process much faster for you. By using our free quote engine, you will also receive free advice on the specifics of trees that need permits to remove and those that do not. Any paperwork required to apply for a permit can be processed and filled out by our office for your convenience. For some permit applications, you may also need to include a report from a professional arborist. We are able to assist with this too. Your chances of getting the permit you need will be greatly increased by a report from one of our arborists. You may be charged a fee during the final part of the permit process- requesting a permit from the council. You may also be required to submit more information. Contact us for all your tree removal needs. 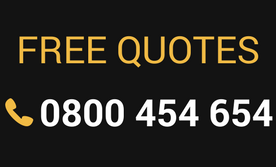 We are happy to offer professional advice and quote you no-obligation quotes on all of our services.